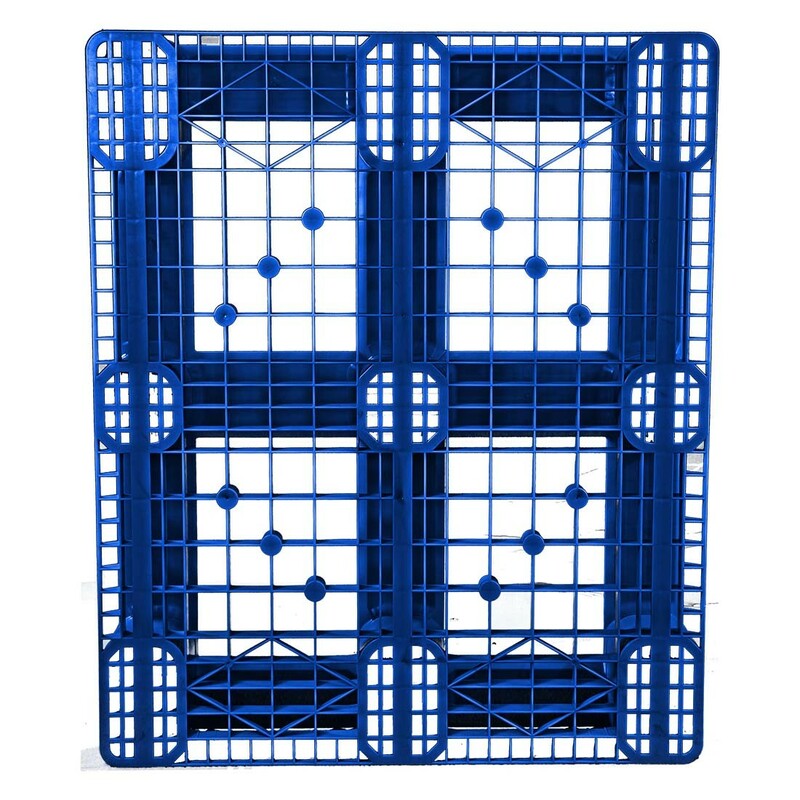 One Way's new rackable, stackable plastic pallet combines strength and economy in a lightweight design for superior performance at an affordable price. 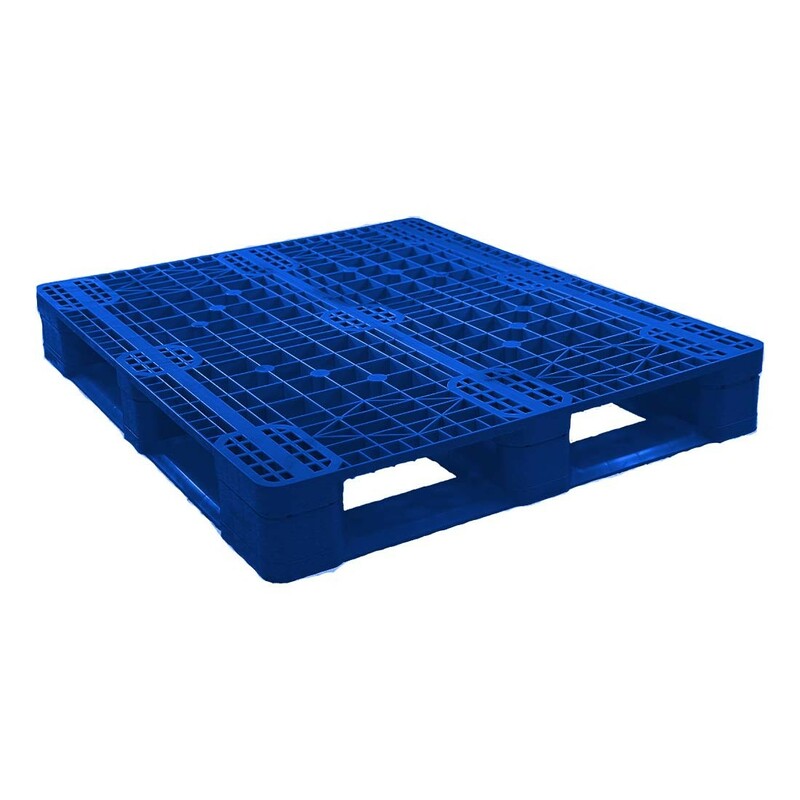 Fabricated from virgin polypropylene, this rackable pallet features a single-piece 6 runner base for added stability. 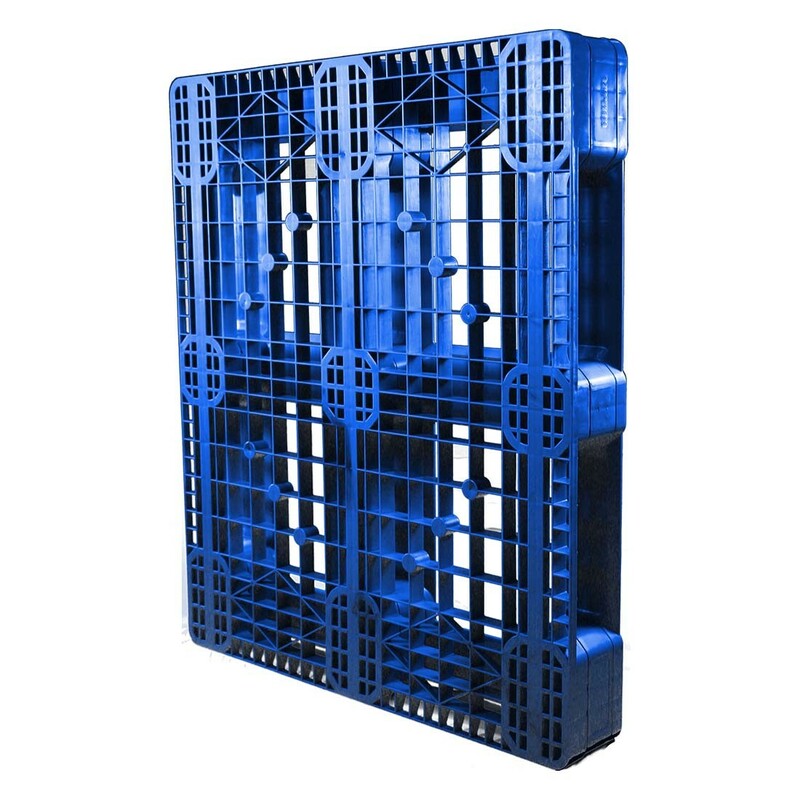 They are ideal for use in warehouse racking systems, as well as stack loading, closed loop shipping, distribution, production floor storage, automated material handling, and export applications. Superior engineering allows the bottom pallet to handle full static loads when loaded and stacked; pallet achieves unsupported racking capacities up to 2,200 lbs. 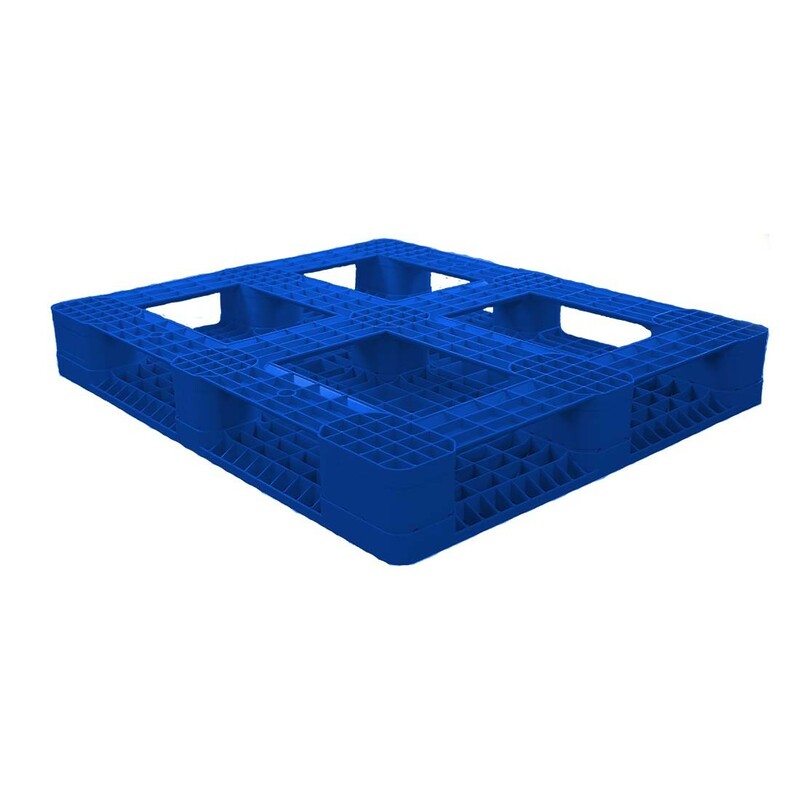 These pallets may be fitted with optional rubber grommets or a lip to keep contents from slipping.